Joy Camille is passionate about environmental management and sustainability. Serving as a Project Officer for Sustainability Management at ICLEI Southeast Asia Secretariat, she works directly with local governments, assisting and supporting policy makers in understanding and addressing local sustainability challenges. She previously worked as an Ecosystems Management Specialist at the Biodiversity Management Bureau and a Science Research Specialist at the Department of Science and Technology. Joy Camille holds a graduate degree in Development Communication from the University of Philippines. A public policy professional with over 7 years' experience across 3 continents and variety of sectors, Himanshu is a Climate Smart Agriculture Consultant at the World Bank Group. A native of New Delhi, he is passionate about empowerment of local communities to tackle local development challenges. Himanshu works at the intersection of public policy and private sector, most notably at the World Bank and the OECD. He hopes to apply his personal, professional and academic experience within the Local Pathways network to help improve well-being for local communities in his city. Heba works in digital innovation creating disruptive products and companies. Her experience spans multiple industries with a focus on retail and healthcare innovation. She currently works as a Product Manager & Strategy Adviser on precision medicine at Boston Children's Hospital Innovation & Digital Health Accelerator (IDHA). Her most recent project was conducted with the City of Boston on self driving cars. In her free time, Heba conducts pro bono projects focused on education and employment. Heba is a former TEDxNorthwestern speaker and current World Economic Forum Global Shaper. Ghina is young architect and a member of Creative Enterpreneurship Team at the Indonesian Youth for SDGs. 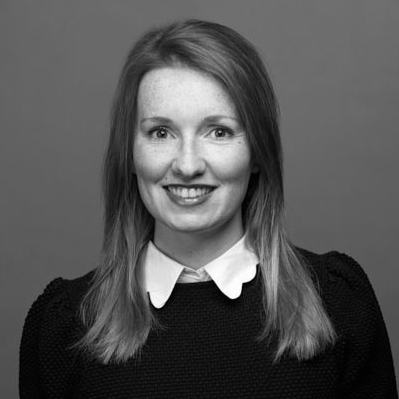 As an architecture consultant, she is passionate about building environmentally sustainable, inclusive and resilient cities, and continuously looking for sustainable and scalable design solutions to urban development challenges. As a local pathways fellow, she aims to develop and implement solutions that would help adress the challenges cities in Indonesia face amidst rapid urbanization. 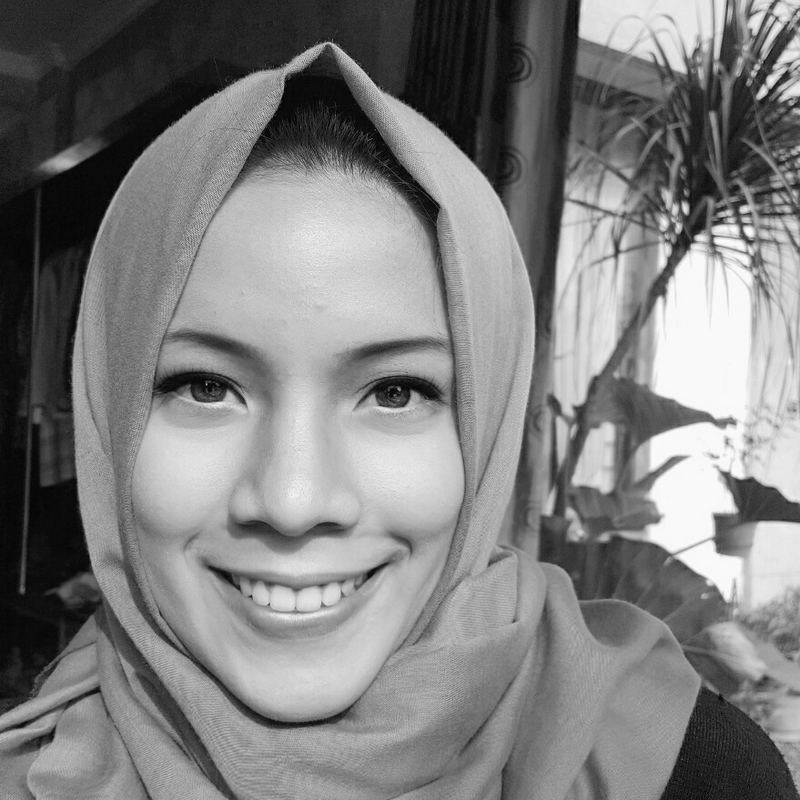 Ghina holds a degree in Architecture from the Gadjah Mada University. Rohan is an avid urbanist and a global citizen, working as Urbanization Research Analyst at UNDP. With roots in India, Germany, the UK, and the US, he seeks to explore what cities can learn from each other in achieving the SDGs and the New Urban Agenda. He is particularly interested in learning about policies aimed at urban social cohesion and socio-economic integration. After completing a Masters Degree in International Relations from the University of St Andrews in Scotland, Rohan continued his studies in International Public Management at SciencesPo in Paris and in Urban and Social Policy at Columbia University in New York. 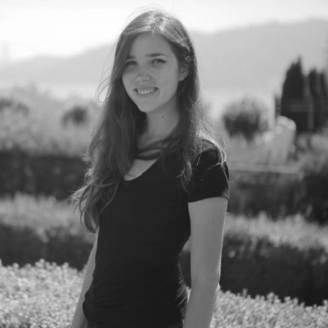 Being a young architect, Karina views sustainability through an urban development lens. She currently works as an Architect and a Planning Consultant with a focus on resilience and adaptation to climate change, and volunteers with a project that promotes non-violence in Mexico city. Katrina's work is centred on advanced metropolitan solutions for sustainable development. She is interested in public policy and good governance, which she believes is key to building inclusive and environmentally sustainable communities. She holds a degree in Architecture from Universidad Nacional Autónoma de México. Nick is a youth advocacy expert and a champion of youth inclusion and participation in decision making. Nick is the founder of Nairobi Urban Creators, which aims to facilitate meaningful engagement of young people in the implementation of the New Urban Agenda across the cities of Kenya. Nick has also served as the RFP (Eastern and Southern Africa) for the UN MGCY and has been recognized as an 'Emerging Community Champion' by UN Habitat for his role in engagement of local youth in the Habitat III process. Originally from Mexico, Lucía is a Project Director at Les Petits Riens (LPR), a Paris-based NGO that uses art to empower underprivileged youth. Passionate about social innovation and inclusion, she co-founded "Sin Palabras", an initiative aimed at social rehabilitation of vulnerable people through arts. She has gained experience in social development and education through her work with several organizations in Mexico and France, including UN ECLAC, Orange Foundation, World Innovation Summit for Education. Lucía holds a Masters degree in International Development from Sciences Po Paris. Working at the intersection of family planning, sexual and reproductive health and rights, David serves as President of the Kiribati Youth Initiative Association (KYIA), a youth-led NGO in Kiribati that promotes social development. 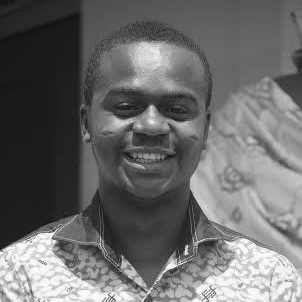 David is also a Program Advisor for ChildFund, where he assists with development of a youth empowerment program. David has previously led production of several documentaries on the topic of 'healthy relationships', with the support of the Kiribati Healthy Families Project, and on teenage pregnancy, with the support of the Ministry of Youth and Social Affairs. Ayo Yi-ngok Chan is a Strategic Advisor of a Singapore-based 4As advertising firm, and is working on a capacity building programme addressing a broad range of developmental challenges faced by local communities in Myanmar. He believes Hong Kong can play a greater role in advancing progress on sustainable development in Asia, and is a regular contributor to some of the leading newspapers in his city. Ayo holds an MPP degree from the University of Oxford and a Bachelor’s degree in Politics and Economics from the University of Hong Kong. 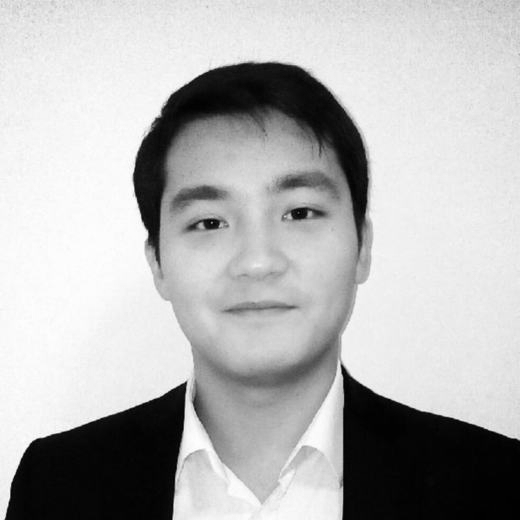 He is also a Sylff Fellow with Peking University and the Tokyo Foundation. Passionate about gender equity, Bahar is a graduate student in Gender and Sexuality at the University of Chicago. She has gained her experience working on the issue through a MULAN project in India, which aimed to raise awareness about women's rights and empower underprivileged women. Bahar has also worked with the Women Entrepreneurs Association of Turkey (KAGİDER) and has served as the Campus Leader of Turkish Women’s International Network (TURKISHWIN). 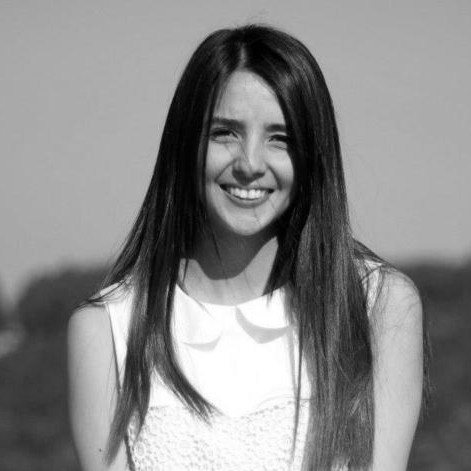 Bahar studied Evolutionary and Social Psychology at Tilburg University during her exchange, and holds a Bachelor's degree from Koç University in Psychology and Sociology. 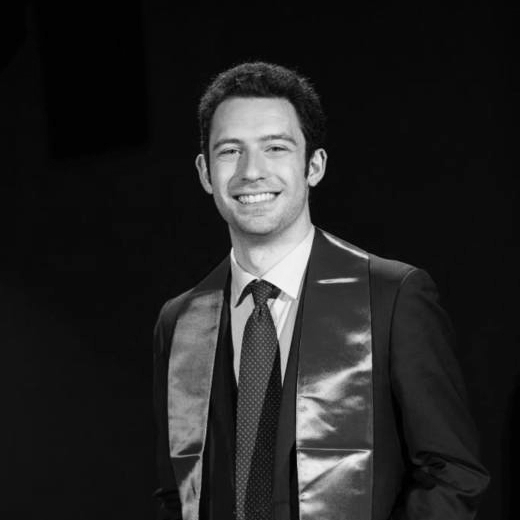 Passionate about innovation and sustainable development, Alessandro is a strategy consultant at EY, where he is involved in projects linked to sustainability, CSR and smart cities. Alessandro is a member of the Milan Hub of the World Economic Forum Global Shapers Community, where he is a Project Leader for "Improve Milan" workshop series. He holds a Bachelor's degree in Economics and Management from Bocconi University, an MSc in Global Politics from LSE and a Master in International Economic Policy from Sciences Po Paris. Prior to moving back to Italy, he worked in Nicaragua, Indonesia and Lebanon. 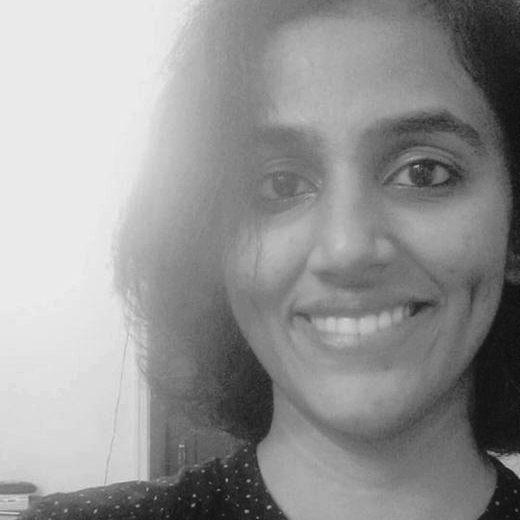 Chandrima is Program Manager of the Urban Community Lab at SELCO Foundation, where she works on issues of sustainable access to water, energy and affordable housing for underprivileged communities in Bangalore. Previously, she worked at Janaagraha Centre for Citizenship and Democracy, leading a team on analysis of civic data and municipal budgets, to benchmark infrastructure access and quality, and provide actionable data and insights to elected representatives, municipal officials and citizens. Passionate about design-led interventions and policy, she holds a Graduate Certificate in Public Policy from the Takshashila Institution and a Bachelor’s degree in Architecture from the School of Architecture and Planning in Chennai. Chandrima was the recipient of the 2012 Global Youth Essay Competition Award from the Centre for International Private Enterprise (CIPE) in Washington. Clinton is an urban specialist with a focus on resilience, safety, strategic planning, and mobility. His insight and ability to elevate urban thinking has been sought after by organisations across Australia and Asia. He is currently a Social Planner at the City of Melbourne, and has worked as a Consultant with UN-Habitat in the Philippines, and ICLEI in Taiwan. He has authored reports on urban safety, sustainability, and ecomobility across Asia. He holds a Master of International Development from RMIT University, writing his thesis on the thinking and governance of urban resilience. He is a delegate of the Young Professionals Forum at the Asia-Pacific Cities Summit 2017 in Korea. Clinton brings his renowned perspectives and commitment to action for the Sustainable Development Goals in Melbourne. Cinderella is a university instructor and coordinator at Damascus University, where she aims to empower and promote self-reliance among her students through trainings and off-campus activities. She has been a social activist since the beginning of the Syrian conflict in 2011, working with a number of local and international NGOs, supporting relief programs for displaced families, helping Syrian youth and women enter the job market and developing educational programs for displaced youth. Through her work at the Indonesian Embassy of Damascus, she acted as the focal point between grassroots communities in Syria and Indonesian government. With 10 years of experience in community development, social entrepreneurship and advocacy, Jarius Andrew is a Founder and Executive Director of the Youth Network for Reform (YONER), a youth organization working to reunite communities and address the needs of under-privileged children and youth, which has already helped improve lives of 30,000 children and youth. Andrew also serves as a Youth Representative to the Liberian Ministry of Health, where he coordinates the Adolescents and Youth Unit affairs. He is a volunteer at Mandela Washington Fellowship, and has been a Lead Organizer of the GIST Techconnect in Liberia, recognized as one of the top Entrepreneurs in Africa by the U.S. Department of State’s GIST Program. Kirthi is an activist, an artist and a writer. She is a founder of the Red Elephant Foundation, a civilian peacebuilding initiative that advances gender equality through storytelling and advocacy. She is a member of the Youth Working Group for Gender Equality under the UNIANYD, a recipient of the US Presidential Services Medal, the UN Online Volunteer of the Year Award, and has been nominated to attend the United State of Women Summit at the White House. Her book, The Dove's Lament, was a finalist of the Muse India Young Writers' Literary Award. As a Zen Doodler, her works of art and the collection "HerStories", which comprise portraits and stories of women, have been commissioned by corporate establishments, NGOs and art collectors worldwide. Passionate about environmental sustainability and biodiversity, Dante is leading a ravine restoration project in his hometown, Cuernavaca, aiming to restore the city's emblematic ecosystem through adoption of more sustainable bioengineering techniques and practices. As a science enthusiast, he has participated in the CleanTech Challenge Mexico, developing a prototype solution for reducing greenhouse gas emissions in the transport sector. Dante is pursuing his degree in Sustainable Development Engineering at Tecnológico de Monterrey. Pedro is a Junior Consultant at CGI Business Consulting in Paris and is currently finishing his Master’s Degree from the INP-Toulouse. Pedro started his career as a Junior Entrepreneur in his home country, Brazil, where he worked as a CEO of Autojun. He also worked for 2 years at the highly renowned group NEO Empresarial, leading its activities for one semester. Pedro has represented Brazilian youth at international events such as EDD and UN Habitat III. While working for BRASA, he organized the biggest conference for Brazilians studying abroad, BrazUSC. Carolina is an Environmental Engineer and Social Volunteer, dedicated to promoting sustainabile development and well-being across various local initiatives and organizations in Bogotá. Carolina's main goal is to create a sense of shared responsibility for the city's future and promote ownership of the sustainable development agenda in her local community. Carolina's vision for Bogota is a city that is inclusive, and one that prioritizes public spaces and "happiness" of its citizens. Passionate about youth empowerment and community development, Elie serves as a Local Committee President of AIESEC, a youth-led organization that seeks to activate young people's leadership potential. He has been involved in various projects aimed at raising of awareness and promoting understanding of the Sustainable Development Goals, and engaging youth in volunteering and community development projects. Passionate about the climate change, Kayla is a Founder and Executive Director of the International Student Environmental Coalition, a non-profit that unites youth from 20 countries to act against climate change. Founded in August 2016, her organization has already gained support of the United Nations and the U.S. State Department. Kayla was recently named a Global Champion for Women’s Economic Empowerment by Empower Women of the UN Women. She is a freshman at the University of Southern California in Los Angeles, and a Mork Scholar studying International Relations and Environmental Studies. Kevin is a connector, city-builder, and a military officer working to build stronger, more resilient and prosperous cities in Canada. Seeing social entrepreneurship as a vehicle for advancing the SDGs, Kevin leads the Agency for Public + Social Innovation, which is focused on innovating procurement for social impact and improving Ontario’s social innovation ecosystem through capital, capacity-building, and scaling. For his leadership in local community development, Kevin has been named one of Her Majesty The Queen’s Young Leaders, Canada's Top 30 Under 30, and a Fellow of the Royal Society of Arts. Francis is a youth advocate working with Curious Minds, a youth-led organization advocating for children and youth issues through community engagement, and creation of advocacy space and platforms for youth. Francis was previously involved in the post-2015 development agenda consultation process through his active engagement with the National Youth Consultations in Ghana. He is a Youth Think Tank (YTT) member within Restless Development, a Women Deliver Young Leader and a Youth Advisor with the Youth Advisory Board at MSI Ghana. Nishadi is a sustainability and risk management professional with 7 years of experience working with organisations such as UNDP, John Keells Holdings and MAS Holdings in Sri Lanka. Passionate about education for sustainability, she volunteers her time to conduct related programs at local schools and universities. Nishadi is an alumna of the University of Colombo, Sri Lanka, and has subsequently received an Australia Awards Scholarship to pursue a Master's degree in Sustainability at the University of Sydney. Elise is a young health advocate, interested in children's health, health equity and healthy public policy. As a former President of the Australian Medical Students’ Association, she has advocated for health at a national level on behalf of her 17,000 peers. Elise is an advisory group member for the Medical Journal of Australia, and for the International Society for Prevention of Child Abuse and Neglect. Elise is pursuing her medical degree at the University of Western Sydney. Manoj is passionate about youth leadership, and his work focuses on governance innovation for sustainable economic development. Through his engagement with Daayitwa, a local NGO, and Nepal Leadership Academy, he works with parliament members, ministries and policy makers on capacity building and strengthening Nepal’s governance system. He is a Chevening Scholar currently completing his MSc in Local Economic Development at the London School of Economics (LSE). His research focuses on how regions, cities, and local economies can build resilience and adapt in the face of unprecedented economic shocks. Passionate about social justice, climate change, and the rights of children and youth, Ana Christina serves as a Coordinator for the YoutHAB Project, where she has been involveed in projects promoting "the right of the city", youth participation and urban art in Quito. Ana Cristina has founded #24HoursToBeHappy, where she conducts research on the children and food sovereignty in Ecuadorian communities. Ana Cristina holds a degree in Tourism Management and Environment from the International University of Ecuador. Interested in climate change, social entrepreneurship, urban-human ecosystems and youth empowerment, Rezwan is an advocate for urban development within planetary boundaries. Rezwan has founded the SDGlab - a platform which aims to steer debate around localization of the Sustainable Development Goals. Rezwan also works as an Expert Researcher at BRAC University and the University of Dhaka. He is a Chevening scholar, holding a graduate degree in Environment and Development from the King's College London and an MSc in Geography and Environment from the University of Dhaka. Committed to raising awareness about sexual and reproductive health, Natasha aims to reach a million women and girls through her projects in Lusaka and local communities in Southern Zambia. She co-founded Copper Rose Zambia, which has so far helped improve lives for over 7000 women and young people. Natasha is a Queens Young Leaders Award 2017 recipient and Zambian Women of the Year - Healthcare Champion Award 2017 recipient. She also serves as the Country Coordinator for the International Youth Alliance for Family Planning and is a member of the Youth Coalition on Sexual and Reproductive Rights, where she supports inclusion of young people in policy making. Justus is a City Councillor in Kampala, representing Makerere University within Kawempe Urban Council. He is a co-founder of Universities Forum on Sustainable Urbanization (UNIFOSU), through which he helps advocating for sustainable and inclusive urban development in Kampala. Justus is committed to building a robust and dynamic movement of young people around the world to enable change and promote creation of smart and sustainable cities. Justus is pursuing a Master's degree in Peace and Conflict studies at Makerere University. Onika is passionate about social equity and inclusion, aiming to make a contribution towards empowerment of local communities to shape their own future. A major sports and healthy lifestyles enthusiast, she is a former athlete and a first generation college graduate, having completed a Master of Science Degree in Sustainable Environmental Management at the University of Greenwich in the UK. Onika is a World Economic Forum Global Shaper at the Georgetown Hub (GSC) and a member of the Caribbean Youth Environment Network in Guyana. Ato is a young expert in information technology, serving as an Information Technology Officer at the National Association of Local Authorities of Ghana (NALAG). He has previously gained experience in municipal governance and administration, serving as a Special Assistant to the former Mayor of the Port City of Tema in Ghana. He holds a degree in Ports and Shipping Administration from the Regional Maritime University in Accra, where he co-founded the Student’s Representative Council and became its foremost President. Ato also holds a post graduate diploma in Finance and Investment Analysis. With 7 years of experience in international development with organisations such as the Asian Development Bank, UNDP, Swiss Agency for Development and Cooperation, and VSO International, Onon is a young expert in international development cooperation and partnerships. She currently serves as a Marketing Project Officer with the “Green Gold” Project of the Swiss Agency for Development and Cooperation. Onon is a Chevening Scholar, having recently obtained her Master’s degree in International Studies from the Durham University. Hadia is a young activist and advocate, serving as an Ambassador for Girl Rising, ONE Campaign, and Half the Sky. She has been a Climate Reality Leader, a youth expert in the Commonwealth Youth Climate Change Network, and a delegate at the UN ECOSOC Youth Forums, World Bank Youth Summits, and the Youth Assembly at the UN. In 2015 she was named a “Global Champion for Women’s Economic Empowerment” by UN Women’s EmpowerWomen team. Hadia’s research and advocacy spans the issues of climate change, gender, disaster risk reduction, and peace and security. She is currently pursuing a dual MSc in Sustainability Management and Conflict Resolution at Columbia University. 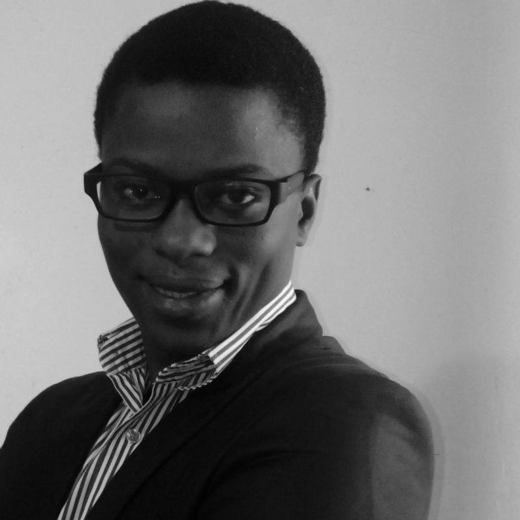 Clara is a change maker, passionate about peace building, poverty alleviation, inclusion and community development. Clara currently serves as a Project Manager at Vijana Vipaji Foundation, having gained experience as a young advocate for gender equity and social justice. Clara strongly believes in the potential of the youth to make a positive impact and take their communities on a path towards sustainable development. She holds a Bachelor's degree of Commerce, Accounting and Finance from the University of Dodoma. With almost 10 years of engagement in the issues of peace and development, Regine is particularly interested in their intersections with religion, gender and youth. She is currently researching religious coexistence in Jerusalem with the Center for Religious Freedom and urban refugees with the UN Habitat Youth. She also serves as the Volunteers Head of the Committee for ASEAN Youth Cooperation. She is pursuing a Master's degree in Coexistence and Conflict Resolution at Brandeis University, and will begin her second Master's in Religion and Global Politics at the School of African and Oriental Studies. Ruth has spent almost five years working in policy-making and strategy development at the intersection of global health and sustainable development. She has gained experience working at UNAIDS in Geneva and New York, and at the European Commission (DG DEVCO) in Brussels. In 2016, Ruth initiated ‘Young UN: Agents for Change’ - a global network bringing together young UN employees to use their strengths to work towards a UN that fully embodies the principles it stands for, with a focus on the SDGs. Ruth studied Geography at the University of Cambridge and is excited to become a Local Pathways Fellow. 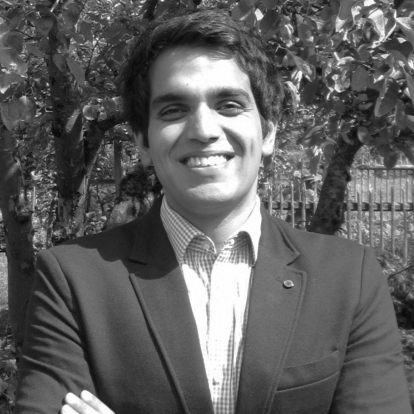 An environmental sustainability specialist and advocate, Abylaikhan is currently a 'Change Agent' at "Challenge Lab", an innovative hub which aims to solve complex societal problems through engagement of stakeholders from academia, public and private sectors in collaboration around sustainable solutions. Abylaikhan has previously worked across different sectors including development, governmental agencies and non profit organizations, and has represented Kazakhstan as a young expert at the UN climate conference (COP20) in Lima, Peru. He holds a graduate degree from Griffith University, Australia, with a major in Environmental Sustainability. Salma is an urban researcher and a development practitioner interested in critical urbanism, theory of urban transformations, and spaces emerging from conflict. Salma has previously worked for the GIZ's “Participatory Development Programme in Urban Areas”, where she was involved in developing, testing, and mainstreaming participatory tools for upgrading of informal areas in Cairo. She has also worked as a research assistant at the American University in Cairo. Salma holds an MSc degree in Building and Urban Design in Development from University College London (UCL). 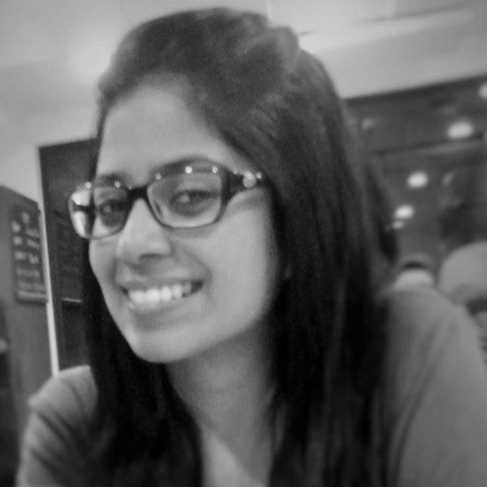 Shadnaz is an urban thinker, deeply interested in management during change. She is a consultant to UN Habitat’s National Urban Campaign in Tehran, having contributed to the release of the book “The City Iranians Need”. Shadnaz worked on "Caravan: Iran 2017" and has obtained her Ph.D. through her authorship of the book "Innovation and Urban Liveability". Shadnaz is currently involved in collaboration around the project “Hashti Tehran” while serving as the Lead Environmental Specialist in Negin Shahr Ayandeh Consulting Engineer Co.
Te Chen is an innovator and researcher, whose work centers on the nexus of behavioural economics and municipal waste management to find innovative ways to improve the way Toronto sorts and collects garbage and waste. 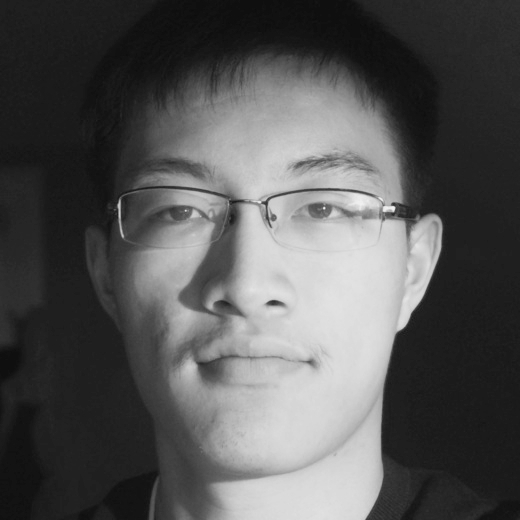 Te Chen is involved in development of a project that would serve as a universal system of garbage bin labels and an app for automatic garbage recognition. He holds a graduate degree from the University of Toronto. Stephanie is a Project Executive for a state government-funded placemaking project in George Town, Malaysia. Growing up in Kuala Lumpur, she was often teased as being a "country bumpkin" in the big city. Moving to Penang, where it is smaller and more culturally vibrant, has fuelled her passion in finding ways to make the city more inclusive to the broader community. With deep interests in arts and culture, she is often seen at art exhibitions, film-screenings and public forums around town. Self-described as an "extroverted-introvert", Stephanie is constantly pushing herself to explore the world around her. Sherife is a youth advocate, having worked at the intersection of youth and the city. She managed a youth programme with the UN Habitat for the World Humanitarian Summit (WHS), which had seen over 500 youth participants across the world, and has been involved in delivery of local youth projects, including those aimed at promoting non-violence through art, and teaching underprivileged children to code. Sherife currently works as a Business Development Manager for Aid & Trade London, a UN and IFRC supported event. She holds a MSc degree in Gender, Policy and Inequalities from the London School of Economics (LSE). 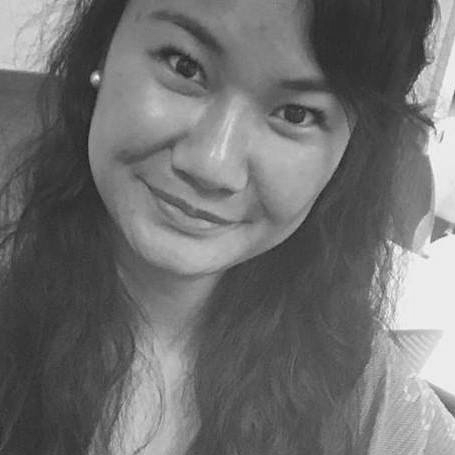 Passionate about human rights and youth empowerment, Tasman is a Co-Founder of Meri Toksave, a youth-led gender justice NGO in Papua New Guinea. He serves as a Chair of the Australian Red Cross Queensland Youth Advisory Committee and is currently pursuing his degree in Social Sciences at the University of Queensland, Brisbane. Tasman's previous involvements include serving as a UNICEF Australia Young Ambassador, a Human Rights intern at the Australian Mission to the United Nations, and a Senior Facilitator with the UN Youth Australia. He has also been recognized as a World Economic Forum Global Shaper, a 2016 National Youth Week Champion and a Queensland Finalist for 2016 Young Australian of the Year. Ivy is an Environmental and Bio-Systems Engineering student, currently interning at UN Habitat’s Slum Upgrading Unit. Prior to that, Ivy has worked at Swahiba Youth Networks, where she coordinated a Mentorship and Empowerment Program in Kibera slums and volunteered at ADELA Sofala in Beira in Mozambique. She was selected among fifteen European Union Future Leaders representing the youth during the 2015 European Development Days Forum, and was engaged in the development of "Action Plan 001" for Goal 11 (Sustainable Cities and Communities) during the World Merit’s ‘Merit 360’ program. Vanessa Sze Wai is a Law and Public Services student at the University of Hong Kong, majoring in Politics and Global Studies, with a background in research of urban air pollution and governance. 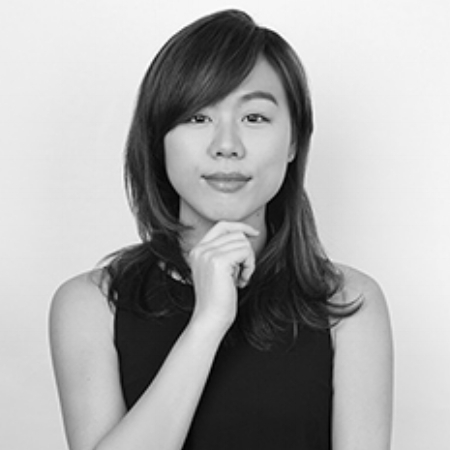 She grew up in one of the underprivileged areas of Hong Kong, which had provided her with a first hand understanding of the challenges disadvantaged communities face, and has driven her to become a passionate advocate for social inclusion, justice and fairness. Through the Local Pathways Fellowship, Vanessa seeks to make a lasting impact that makes a difference for the place she calls home. Umesh is an urban sustainability advocate, who believes in the importance of land use policy in creating environmentally sustainable cities. Umesh is a fellow at the Chief Minister’s Fellowship Program for the Government of Maharashtra, where he works on development of green building codes and guidelines for public infrastructure. He has previously worked with the Total Environment in Bangalore, where has gained knowledge of environmentally sustainable construction practices, land markets and best practices in development planning. 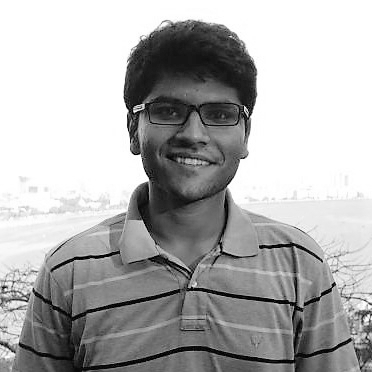 Umesh holds an undergraduate degree in Civil Engineering from BITS Pilani. Viktoriia is a Co-Founder of the Ukrainian Youth Delegate to the United Nations program. She served as a Youth Delegate to the UN HQ in New York, and worked at a solar company in California where she has developed an avid interest in sustainability and renewable energy, as well as solutions that promote collaboration between private sector and local communities. Viktoriia holds a Bachelor's degree in International Relations from the Taras Shevchenko National University of Kyiv. Ashleigh is a youth advocate, and a young expert in youth leadership, strategic campaigning, political advocacy. She has gained her experience working with Young Australians in International Affairs, Global Goals Australia, the Campaign for Australian Aid and World Vision. Ashleigh ran workshops at the Youth CSW 61 in New York, and is the Taskforce for UN Women Youth. Ashleigh holds a Bachelors degree in International Relations, an Honours in Politics, and has recently commenced her Masters in Diplomacy at the Australian National University. Nadya is a researcher interested in finding solutions that would help eliminate urban poverty and meet basic needs of low-income communities in Jakarta. She currently works as a Senior Analyst at Last Mile Consulting, an organization that is part of the social enterprise Kopernik, which primarily works on poverty alleviation. Nadya works in cooperation with international corporations, aid agencies, foundations and NGOs that specialize in developing life-improving solitions for the 'Bottom of the Pyramid' (BoP) market and poor communities. Pascaline focuses on the intersection of public policy, civil society empowerment and climate change driven migration. Passionate about Goal 16, she now works with the local government on participatory and representative decision-making process in the Paris area. She previously worked with UNDP, and with a number of NGO's on community empowerment and capacity building,. She was a youth delegate to COY 11 (The Conference of Youth) at COP21, and her academic background combines History and Political Science. Born in Germany and growing up in Mexico-City, Buenos Aires and São Paulo, Katharina has gained exposure to diverse urban environments and settings. Katharina has gained her background in climate policy and organic agriculture, and is currently working with the biodiversity team at Adelphi, a public policy consultancy. Thanks to the Carlo-Schmid-Program, she interned at the UN Office for Project Services in Panama and Mexico. Katharina holds a degree in Biology and Sustainable Resource Management at the Technical University of Munich. Mohammed Kabir is an Urban Planner and disability inclusion advocate, aspiring to introduce walking and cycling friendly roads and streets in Kaduna Metropolis. He has gained experience working with the civil service, and a number of associations of people with disability. For the past three years, he has been actively involved in design of layouts for housing projects and processes to ensure compliance with the approved planning standards. Mohammed holds a Bachelor of Technology degree in Urban and Regional Planning from Modibbo Adama University of Technology, Yola, and is pursuing a Masters in Urban Design at Ahmadu Bello University Zaria, Nigeria. He is also an alumnus of Mandela Washington Fellowship for Young African Leaders. Born in Aiud, a small town in the heart of Transylvania, Diana was blessed to be raised in the spirit of love and respect for nature and environment. Through Society for Responsible Consumtpion, an organization she currently leads, Diana is living her dream by supporting local communities, organizations and businesses in adopting solutions and creating their own path towards sustainability. Stephanie is an environmental education advocate, which she believes could be a powerful tool for behavioural change needed in our society to achieve a sustainable future. Stephanie works with “Asociación de Amigos de la Patagonia”, a Buenos-Aires based NGO where she helps developing and carrying out environmental education and training programs for school teachers, students and working professionals in provinces across Argentina. Stephanie holds an undergraduate degree in Environmental Science from the Universidad del Salvador.